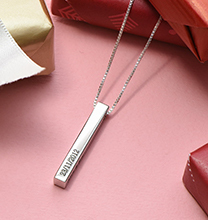 Treat them to a beautiful piece of personalised heart jewellery to treasure! 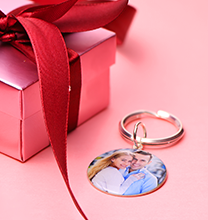 Our Heart Necklace in Rose Gold Plated with Birthstones makes the perfect go-everywhere accessory while celebrating the special, one of a kind relationship that you share. 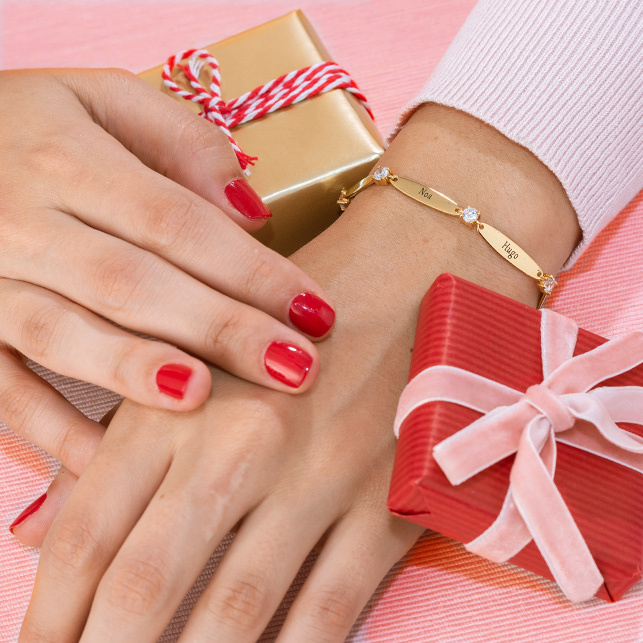 This exquisite piece offers lots of loving touches that make it popular with couples and families alike. Perfect for the woman who loves the soft, feminine glow of rose gold next to her skin, it offers a stunning heart within heart design with interlocking lower edges that bring the two hearts together in an endless, forever bond. Two names or meaningful words adorn the larger, outside heart’s lower edges. 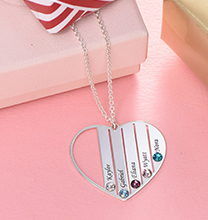 Inside one edge of the smaller heart, two birthstones add the perfect amount of sparkle. This design offers plenty of space for your imagination to take flight, so feel free to be creative as you decide how to style it! 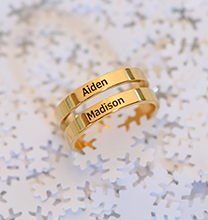 Try names or nicknames, or consider adding words to describe your relationship, such as “Forever” and “Mine” or “Love” and “Eternal.” If the necklace is for a mother or grandmother, consider adding kids’ names or words that describe the special bond your family shares. Just like the design, the choices are truly endless! This stunning necklace is made with 18ct Rose Gold Plated Sterling Silver (0.925). The pendant hangs from a matching Rose Gold Plated Bead Chain, which adds a touch of texture. 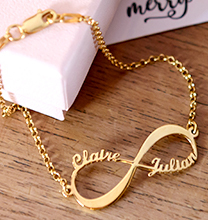 We invite you to discover our collection, where you’ll find even more relationship necklaces, including this beautiful style in your choice of Sterling Silver or 18ct Gold Plated.